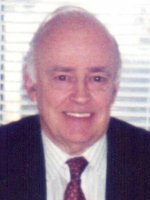 ALBANY – John W. Randall, 84, of Westmere, died Tuesday, May 17, 2011 at Albany Medical Center Hospital. Mr. Randall was born in Albany, and lived in the area all his life. He graduated with a B.A. from Siena College, and worked for the State for 20 years, retiring as First Deputy Commissioner of the Division of Substance Abuse Services. Later, he was employed as Executive Director of the National Development and Research Institutes (NDRI). Prior to State service, he was employed for ten years by Oneida Markets. He was a board member and past president of Hospitality House, served as chairman of the Joint Institutional Review Board (IRB) of NDRI, and was chairman of the Methadone Maintenance Task Force in the 1990’s. Mr. Randall was a loyal member and past president of the Hudson-Adirondack Daylily Society (HADS), a board member and treasurer of his church, Trinity United Methodist, and served as a board member of the Guilderland Community Center and Community Theater. He was an avid reader, and enjoyed gardening, golf, playing bridge, watching the Giants, and having breakfast with his high school buddies whom he still met each week. He was devoted to his wife and soulmate, Avis, and loved his daughters, his extended family, the Femias and the Gaynors, his neighbors and large network of friends. He loved life, was an optimist, and was kind and helpful to everyone he knew. He will be missed more than words can say. Mr. Randall is survived by his beloved wife of 62 years, Avis Gibbs Randall; his devoted daughters Cheryl Randall (William Carpenter), Debra Randall; his sister June Gaynor; his grandchildren Evan, Robert and Emily La Pann; his step granddaughters Megan Carpenter and Amber Carpenter LaGattuta; and by many nieces and nephews. He was predeceased by his sister Jinny Femia. Funeral services will be held in the Hans Funeral Home, 1088 Western Ave., Albany, Friday morning at 10:00. Relatives and friends are invited, and may call at the funeral home Thursday from 4-7 p.m. Interment will be in Graceland Cemetery, Albany. The family suggests that any memorial contributions be sent to Trinity United Methodist Church, 235 Lark Street, Albany, NY 12210-1150. To leave a message of condolence for the family, send a sympathy card, or obtain directions to the funeral home, please visit http://www.hansfuneralhome.com/. I want you to know that many warm thoughts are with you..
Johns warm friendship over many, many years will be greatly missed. God Bless. My deepest sympathies to the family of Mr. John W. Randall on his passing. I had the extreme pleasure of working with him as my First Deputy Commissioner at the NYS Division of Substance Abuse Services early on in my NYS public service career. He was a leader, a gentleman, and a mentor to my career – something I will never forget. Most of all he was a gentleman in the truest sense of that word. A true public servant! What very sad news! I worked with John for many years, and no matter the circumstances, he always acted with enormous wisdom and humanity. He was truly one of a kind! His family, however, meant the world to him! We were sad to hear of John’s passing. We worked with him at NACC/DACC/ODAS/DSAS and at NDRI and his wisdom and fairness had a significant impact on the the successes of those organizations. Our condolences to the family, and may they take some comfort in knowing that he is remembered by many with great affection. I just learned of John’s passing and i would like to send my sincere condolences to Mrs Randall, Debra and Cherly. Growing up I was alwasy impressed by John’s innate ability to make you feel welcome. He definitely made a positive impression on a young man growing up.